Teachers know the best way to engage students is to ask why. Why should kids care about government? This list is aimed at the Grade 5 Social Studies unit. 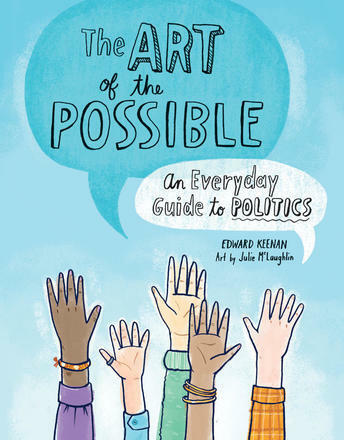 The Art of the Possible: An Everyday Guide to Politics, by Edward Keenan, illustrated by Julie McLaughlin, is written in a way that hooks kids with a logical argument, beginning with the reader being told s/he is already a politician. How and why government is formed, how we decide things and how we get along are all addressed, which leads a discussion of how Canada’s party system works. Each chapter clarifies a single concept, including case studies; this one makes for a great read aloud. The following books are appropriate for independent research. Canadian Government, by Elizabeth MacLeod, is a book perfectly designed for the Grade 5 student, written in five simple chapters (Federal, Provincial, Municipal levels, as well as the Governor General’s role and Voting). It’s broken down into clearly defined paragraphs punctuated with photographs. The small format makes for manageable text, with key words bolded throughout and a pronunciation guide. Separate text boxes describe key figures in government. Who Runs this Country Anyway? 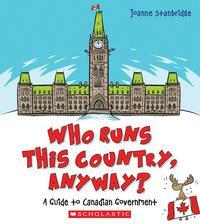 : A Guide to Canadian Government, by Joanne Stanbridge, has more text than McLeod’s book, covering the gamut of government in detail, including the structure of government, the role of the monarch, the Constitution, Canadian Charter of Rights and Freedoms, referendums, by-elections, and everything students need to know about Parliament. 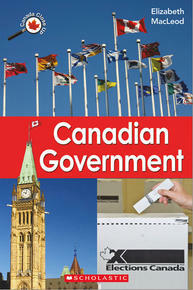 The Governing Canada Series, by Elizabeth Simon, consists of six books, each one featuring a key role in Canadian government: Governor General, Lieutenant Government, Member of Parliament, Prime Minister, Queen, and Senator. Each follows the same format, i.e. description of the role, a “day in the life,” and significant figures who held that job in history. It reads like a picture book with historical photos and a quiz at the back. There’s a balanced representation of both women and men. The Kids Book of Canadian Prime Ministers, by Pat Hancock, begins with a few pages about how government works. In Kids Can Press characteristic large format, it’s organized as a timeline of reigning prime ministers (and events). 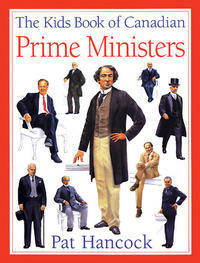 Each short profile, beginning with Sir John A MacDonald, describes how s/he became PM, and what s/he accomplished. Alongside are historical milestones and quick facts. Unfortunately, it ends with Paul Martin and therefore needs and update. Interesting tidbits: John Sparrow David Thompson had a heart attack and died while dining with Queen Victoria. John Diefenbaker, as a 14-year-old was selling newspapers when then Prime Minster Wilfred Laurier stopped to say hello. Young Diefenbaker said, “Mr. PM, I can’t waste any more time. I have to deliver my papers.” Laurier told the press that Saskatoon had remarkable newsboys. 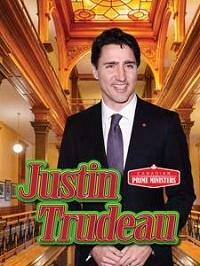 Justin Trudeau, by Pamela McDowell, is part of the Canadian Prime Minister series. Presented in a short, concise way, topics include Trudeau’s upbringing, what lead him into politics, an explanation/definition of the job, and the actual election process. Did you know he was a snowboard instructor in B.C. while getting his B.Ed.? The final pages include a concept web/graphic organizer to help kids write a bibliography, along with a timeline, websites and glossary. Other titles include: Harper, Pierre Trudeau, Diefenbaker, Pearson, MacDonald, Laurier, Chretien and King. 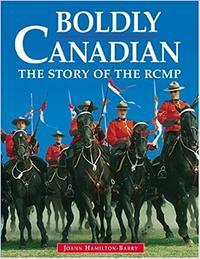 As part of the study of federal responsibilities, Boldly Canadian: The Story of the RCMP, by Joann Hamilton-Barry, illustrated by Frances Clancy, covers everything you’d ever want to know about the Mounties. This interesting read reveals the rigorous training, the history, the unusual jobs; some information is written in the form of engaging narratives. Did you know…the RCMP caught JFK’s murderer by finding his photo on a Canadian passport application? Eric Wilson has a mountie for a dad? Disney used to own the rights to the RCMP image? In 1939, mounties had to visit restaurants throughout the day to listen to wanted persons bulletins because they didn’t have car radios? For the reader at a grade 3-4 level, there’s the All About Canadian Citizenship collection of books in the Nelson "All About" series. Four titles that will be helpful: Local Government, Voting, Making Laws and Conflict Resolution, all by Jessica Pegis. Each has 5-6 sentences per page and a large accompanying illustration. 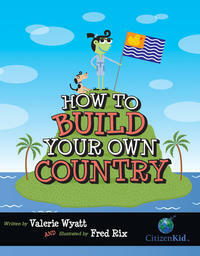 How to Build Your Own Country, by Valerie Ryan, illustrated by Fred Rix, has one chapter that spells out how to govern. After kids have done the fun job of creating an imaginary country, this step-by-step chapter shows kids why government is necessary, including instructions on how to write a Constitution and make laws. Who Runs This Country, Anyway?